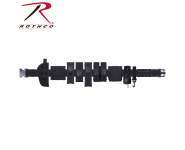 Sabre Pepper Gas with Hard Case features a special formula designed for maximum stopping power. Sabre Pepper Gas with Hard Case features a special formula designed for maximum stopping power. 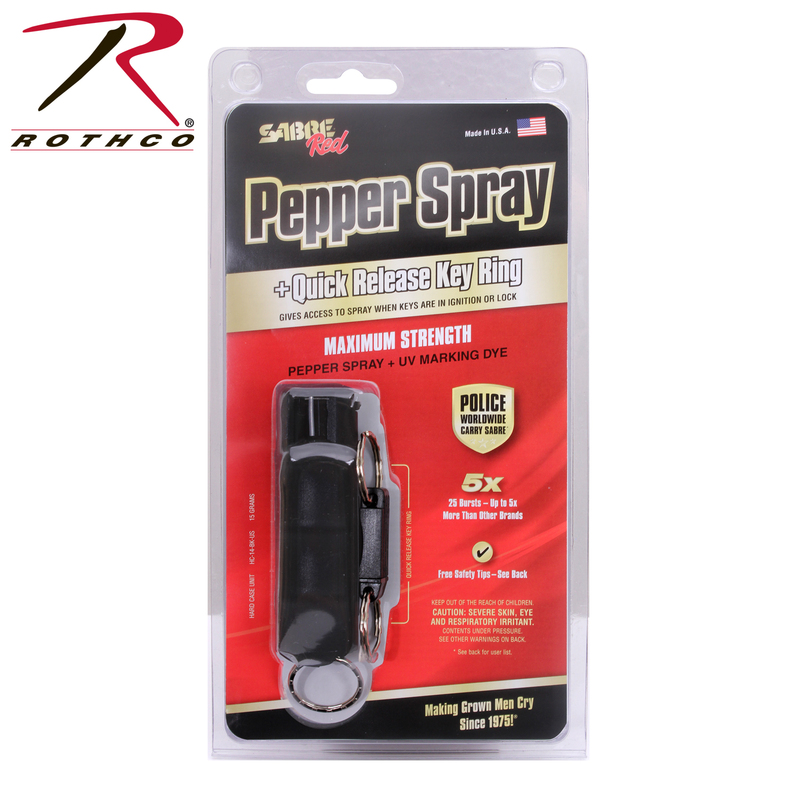 With a ballistic stream and range of 8 - 10 feet, this pepper spray decreases wind blow-back for optimal effectiveness. Features a hard case with quick release key ring for easy access and hands-free carry. 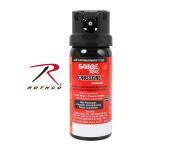 Sabre Pepper Gas holds approximately 25 shots, has a shelf life of 4 years and is ISO 9001 Certified.